I imagine now that everyone is sick and tired of hearing about 'dewy skin' now that the summer months are over. However, I am the opposite during the Autumn/Winter months. I'd much rather wear dewy foundations that keep my skin looking hydrated and alive. Often times matte finishes tend to dry my skin out and my make up ends up sitting quite flat. That's not something I want, especially when my skin is generally dryer in the colder months. It's not even a super dewy foundation either, it's not sticky or tacky, it just blends with the skin really nicely and leaves a subtle glow that doesn't have you feeling too shiny. One thing to note is that this product does have a scent and it surprised me at first as I totally didn't expect it to and it is quite a strong lemon scent, which did kinda remind me of bathroom cleaner on first impressions. I do love citrus scents anyways so it grew on me straight away and it doesn't linger on my skin at all. Another thing is that their shade range could be improved as there are only seven shades. Although they offer a paler shade ('fair') I found that to be too pale so I use 'light' which is actually too dark. Typical! I have to tone it down a notch with another lightweight foundation (post coming soon, haha) so that I can get a perfect match. Asides from two things to note I really would recommend this foundation (ps. definitely a foundation, it has heavier coverage than a CC cream). The finish, coverage and lasting power is fantastic and I barely have to touch up during a day at work. 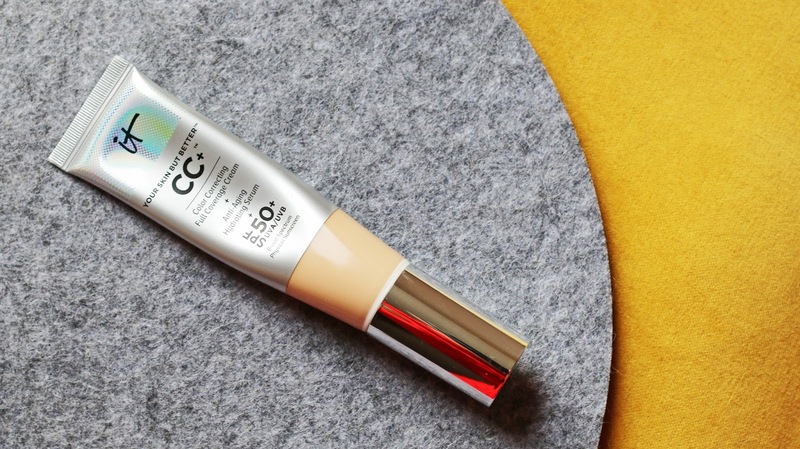 Also, the fact that it has SPF 50+ is amazing, you still need protection from that low Winter sun. Now available in the UK through Selfridge's website, it's definitely a great cruelty free foundation to try out. What's your current go-to foundation?